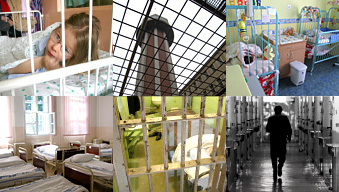 By acceding to the Optional Protocol of the Convention against Torture and other Cruel, Inhuman or Degrading Treatment or Punishment (OPCAT) the Czech Republic was obliged to establish an independent body that would perform systematic visits to facilities where persons are restricted in their freedom. The Option Protocol became valid for the Czech Republic on 9 August 2006 and on 1 January 2006 the Public Defender of Rights became that independent, so-called national preventive mechanism. The aim of systematic visits is to strengthen the protection of persons restricted in their freedom against torture, cruel, inhuman or degrading treatment or punishment or other ill-treatment. When performing visits the Defender and employees duly authorized by him may enter all areas in a facility, study all files, including medical files, ask all persons (employees, patients, clients or imprisoned persons) and conduct private interviews. Systematic visits are made without prior notice and the head of a facility is informed on the spot. Visits are carried out in any time of the day (for example also at nighttime or early in the morning), and also during non-working days. The findings and recommendations related to the conditions in a certain type of a facility are generalized in summary reports on visits. Proposals for improvement of the ascertained conditions are directed toward individual facilities and promoters of the facilities as well as toward the central state administration bodies. When preparing and carrying out systematic visits, the Defender collaborates with outside experts – doctors, psychiatrists, nurses, inspectors of the provision of social services and so on. Within the scope of international activities and by joining the Peer – to – Peer Network project of the Council of Europe’s Commissioner for Human Rights, the Defender established cooperation with “national preventive mechanisms” in other European countries, which enables him to obtain new knowledge and get acquainted with various methodologies. For information concerning individual meetings of national preventive mechanisms held in the premises of the Office of the Public Defender of Rights are to be found here.